Total attendance was up at Royal Ascot. Attendance has increased again at a major meeting held at a racecourse near London after news that numbers were up at Royal Ascot last week. 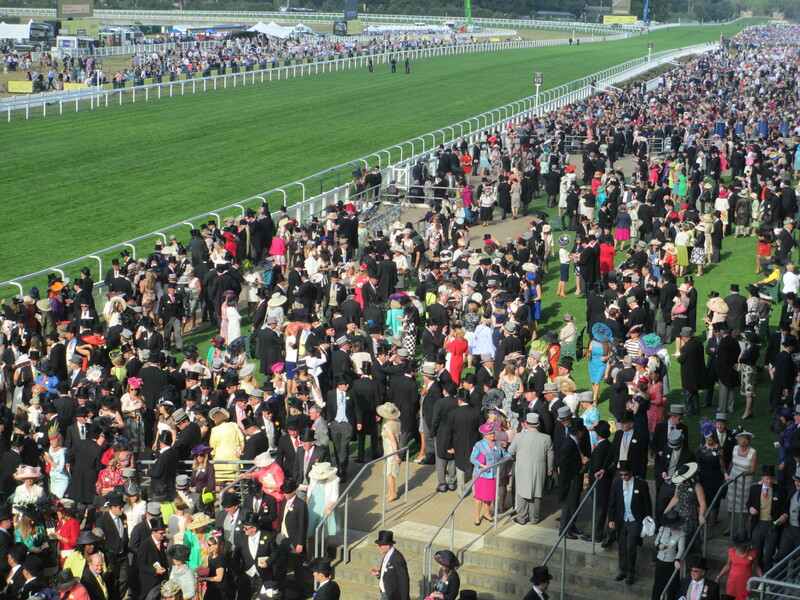 A total of 293,303 people attended the five day Royal meeting between Tuesday June 16 and Saturday June 20. The figures are in increase of 7472 on last year’s total attendance of 285,831. The number of racegoers at each day of Royal Ascot 2015 was also up on four of the five days, with only Gold Cup day registering a slight fall (204) in attendees. “We have seen some terrific equine and human performances and milestones,” Ascot chief executive Guy Henderson said. “Ryan Moore broke the modern day top jockey record with nine wins, Frankie [Dettori] notched up his 50th Royal Ascot winner earlier in the week and went on to ride two more, and Aidan O’Brien once again proved the master trainer of Royal Ascot with five wins. “Richard Hannon, Charlie Hills, Mark Johnston and John Gosden also had good weeks with two wins apiece. “There were a record number of overseas’ successes this week – 13 as against a previous best of 11 in 2012 – emphasising the appeal of Royal Ascot to those from far and wide. “Attendances were up, racegoers have enjoyed themselves and the restaurants have been full for most of the week. The increase at Royal Ascot follows on from two record-breaking days at the Investec Derby meeting at Epsom earlier this month. The turnout was up on both days at Epsom where a crowd of 125,000 people were there for Derby Day, an increase of 5,000 on the 120,000 that attended the Derby in 2014. The record number of people at Epsom was also the highest ever one-day crowd at a British sporting event. “We have had a fantastic day, crowned by the people’s favourite, Frankie Dettori, winning the Investec Derby on Golden Horn in impressive fashion,” Rupert Trevelyan, the regional director of Jockey Club Racecourses London, said earlier this month. Meanwhile, on the first of the two day meeting at Epsom, 26,375 people attended Ladies’ Day which was a five per cent increase on last year.